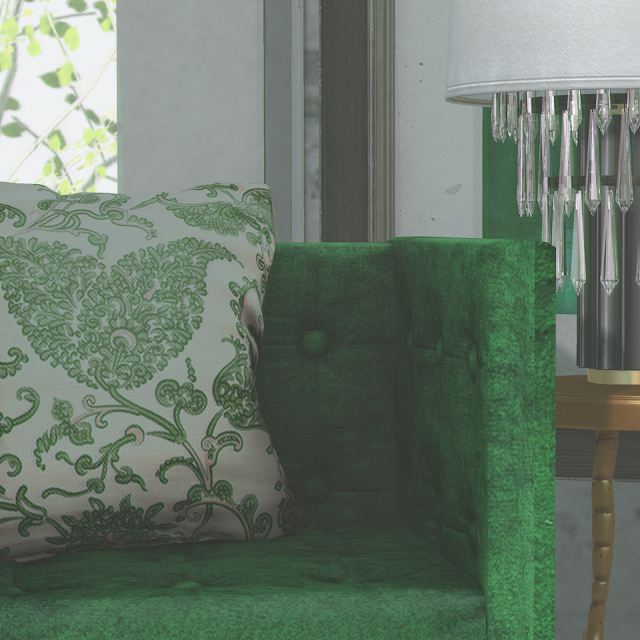 While at the Collabor88 Event, April 2017 round I found myself inspired by the green velvet texture armchair on display by Kalopsia and the gold pieces provided by Glam Affair, The Loft and Aria. As many may know, Gold is one of my favorite colors and pairing it with green tones puts one into the feeling of early spring. Balancing it with darker tones allows it to be fitting for a masculine living area. By adding the crystals to the lamp and a teacup on the side table; which gives it a feminine touch as well, makes it the perfect environment for him and her. Here are some of the pieces that were used in this arrangement.